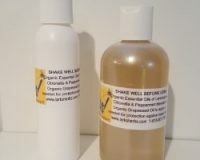 Home / SPECIALS / HELICHYSUM PURE ESSENTIAL OIL….1/4 OZ. 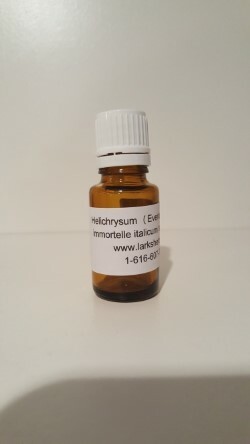 HELICHYSUM PURE ESSENTIAL OIL….1/4 OZ. SKIN CARE: abscess, acne, allergic conditions, boils, burns, cuts, dermatitis, eczema, inflammation, spots, wounds, ringworm, herpes. 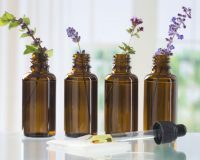 2 reviews for HELICHYSUM PURE ESSENTIAL OIL….1/4 OZ. 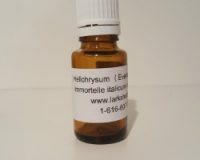 I use Helichrysum oil for pain relief on my knees. It works great! I need it less often now !!! It’s antispasmodic and has warded off muscle spasms in my back especially. It has taken care of new muscle pain overnight. It has helped with my arthritis pain. It has diminished chronic muscle pain. I have been dealing with extremely oily skin and cystic acne since my young teens. Using Lark’s helichrysum oil, my face is actually less oily. If a cystic acne bump starts to form, 3 days of putting this oil on it and it’s gone. It never turns into a painful, deep acne cyst. Using it on my surgery scars has really smoothed out the scars. I put a little on my friend’s eczema that had broken out pretty bad around her mouth. I saw results right before my eyes. The next time I saw her, there wasn’t even a trace of eczema left! 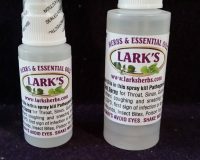 When you purchase any essential oils from Lark, you know you are getting pure, organic oils from their country of origin. Lark is also wonderful to talk to about any of your health needs. She can guide you in the right direction. I know she has spent hours and hours researching things to help me and others. She’s very knowledgeable to start with. I fully trust her and her products.